INDUSTRY.co.id - Serang - PT Manulife Asset Management Indonesia (MAMI) claims to be the largest in the field of Islamic mutual funds. Of MAMI's total managed funds of Rp67 trillion, 11-12 percent came from Islamic mutual funds. Legowo Kusumonegoro, President Director of MAMI in Serang, Banten, Thursday (08/23/2018). Currently MAMI, he said, manages three Islamic mutual funds. Two of them are stock-type Islamic mutual funds, namely Manulife Syariah Sektoral Amanah (MSSA) and Manulife Syariah Asia Pacific US Dollar Shares (MANSYAF), as well as one sukuk sharia mutual fund, namely Manulife Syariah Sukuk Indonesia (MSSI). 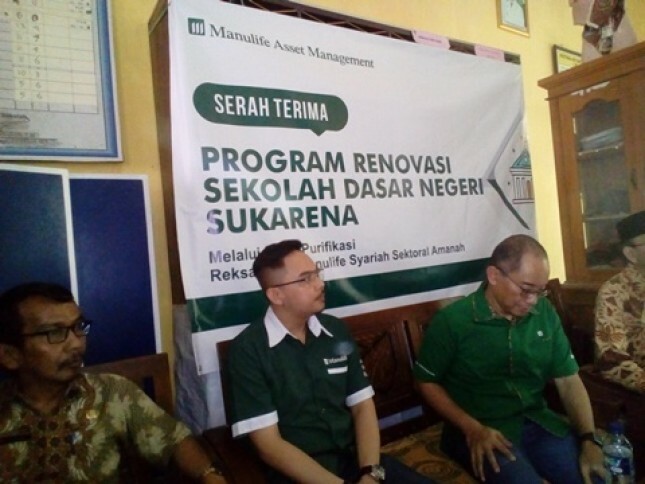 Furthermore, he said, the MSSA mutual funds offered since 2009 had managed funds of Rp 337.67 billion as of the end of July 2018. During the same period, MANSYAF, which had a diversified portfolio in eight countries and was launched on February 15, 2016, has managed funds of USD 451.81 million. While MSSI, which offers ease of investment with only a minimum fund of Rp 10 thousand and was only launched in May last year, has managed funds of Rp 597.12 billion. "We educate the public, including elementary school children so that sustenance from God through their parents must be grateful, can save, invest and spend," he said.